The santa barbara tourist complex, together with la polveriera restaurant, is composed of 5 beautiful villettas in a rustic Tuscan style, scattered upon a green hill. 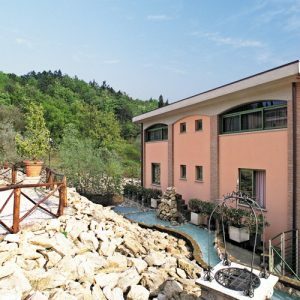 The hotel is located along the hillside road that leads to the medieval village of Montecatini Alto and continues up to the skiing resort called Abetone. 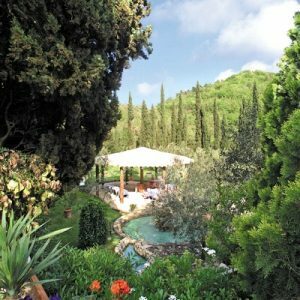 In the middle of a great park characterized by the presence of secular pine and olive trees, the complex dominates the underlying valley, offering a breathtaking view. 79 rooms mostly renovated, divided in 5 separate villettas. Reserved and in a relaxed atmosphere with independent entrances. 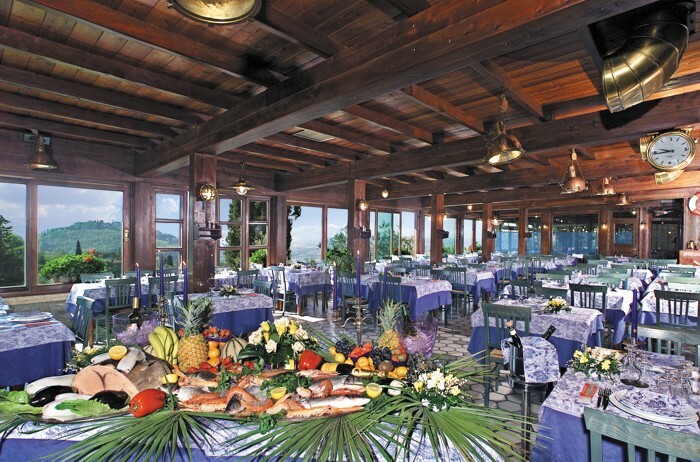 La Polveriera restaurant is a well known place for it’s cuisine which is mainly fish. With an amazing view. A panoramic location for a wedding with a view!The beautiful flowering gardens and the secular olive trees will be the background for the most romantic banquets. 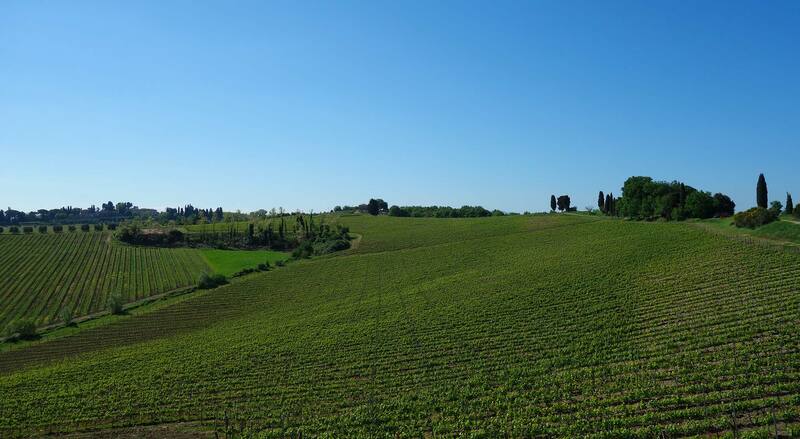 The beautiful park with secular olive trees allows the production of a delicious extra virgin olive oil. A breathtaking view on the Val di Nievole valley and on Montecatini Terme, at sunset it becomes an unforgettable memory for our guests. ”We stayed in the autumn, cozy and clean room. Great breakfast. Friendliness and helpfulness of the staff make you feel at ease. We stayed at Villa No. 5, fantastic view. 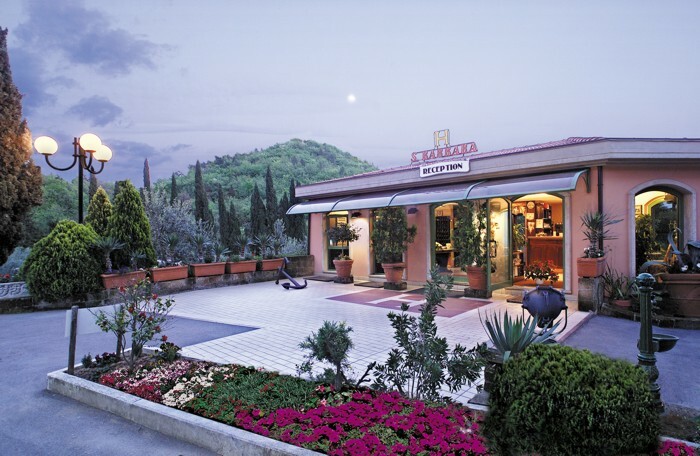 ”The hotel is located on the Pistoia hills, surrounded by a fresh olive wood with a splendid view over the town of Montecatini Terme. 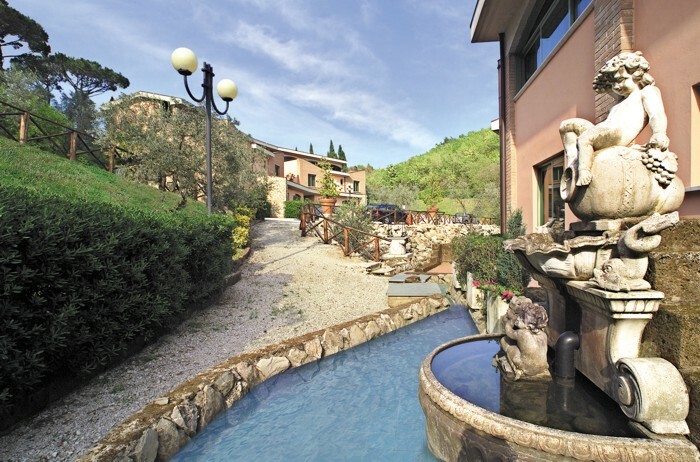 An oasis of tranquility just a few kilometers from the city. 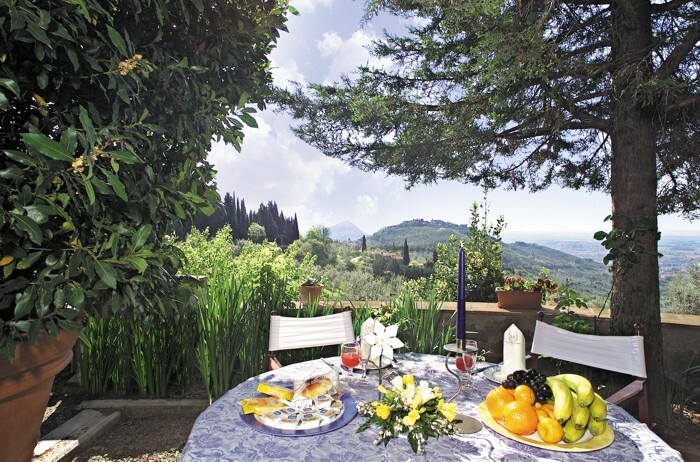 The restaurant to which the hotel leans presents presents of good Tuscan cuisine. Excellent dinner for us. The staff is kind and welcoming. A place to come back to.